1999 FORD F-250 SUPER DUTY CLEAN CARFAX WITH NO ACCIDENTS AND FACTORY PAINT!, COMES EQUIPPED FROM FACTORY WITH THE FAMOUS 7.3L POWERSTROKE TURBO DIESEL ENGINE AND THE INDESTRUCTIBLE 6 SPEED MANUAL GEARBOX!!! THIS TRUCK WILL WORK AND HAUL ANYTHING YOU COULD POSSIBLY THROW ITS WAY! XLT PACKAGE WITH CHROME PACKAGE, COMES WITH POWER WINDOWS AND DOOR LOCKS, ALSO HAS A PIONEER DOUBLE DIN RADIO WITH BACK UP CAMERA AND BLUETOOTH, ALSO HAS A QUITE BUT MUCH BETTER FLOWING EXHAUST AND S&B TOP QUALITY AFTER MARKET AIR INTAKE FOR BETTER ECONOMY, COMES WITH 6 PASSENGER CAPABILITIES, SHORT BED, 2010 FOL-DABLE MIRRORS, BED LINER, AND MUCH MORE. COME SEE TODAY ! 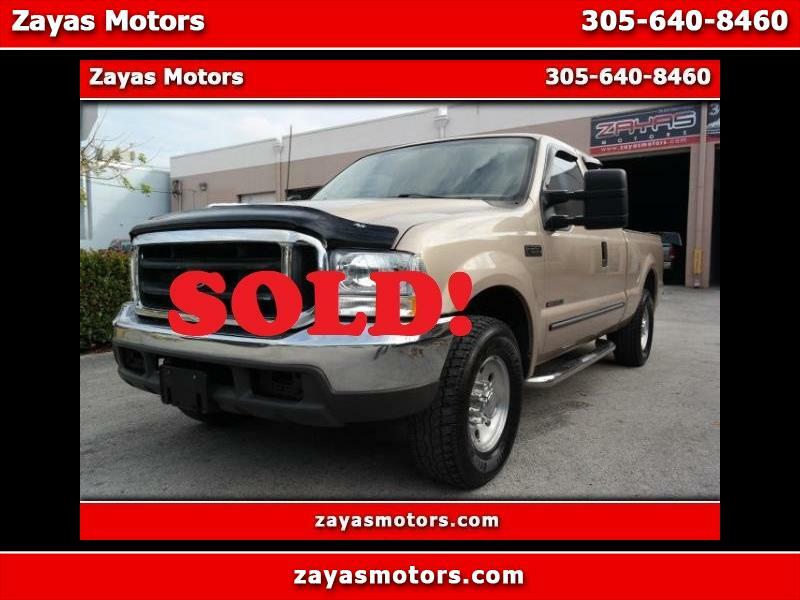 CALL US TODAY AT 305-640-8460 VISIT OUR WEBSITE TO SEE OVER 30 PICTURES ON ALL OF OUR INVENTORY AND A FREE COPY OF THE CARFAX REPORT WWW.ZAYASMOTORS.COM WE ARE LOCATED EAST OF THE PALMETTO AND 58TH ST WE ARE OPEN MON.-FRI. 10A-6P AND SAT. 9A-5P WE OFFER FINANCING TO ALL TYPES OF CREDIT FROM 350 - 850 JUST APPLY AT OUR WEBSITE, WE WILL CONTACT YOU AS SOON AS POSSIBLE WITH A PRE-APPROVAL AND WE WILL TAKE YOUR CAR IN TRADE!